The Gnosis Platform is a peer-to-peer prediction market platform built on the Ethereum blockchain that is specifically focused on futures trading and betting. It aims to create a space where knowledge-holders and other users can connect and transact in a transparent and impartial manner, thereby allowing anyone to have access to the information that they are seeking, and knowledge-holders will be rewarded for sharing their knowledge. Users are also able to request the aggregation or research of specific information that they want in exchange for payment. In this way, users can gain access to information that will enable them to make informed decisions about future forecasts of events, in fields such as finance, sports and politics. It is a modular platform that allows users to make use of whichever oracle they choose in order to form an opinion on the likely outcome of a future event. The Gnosis Platform is decentralized, which means that it is globally accessible and provides users with the option to use any type of cryptocurrency or stable-coin as collateral on these markets meaning that they are not subject to fiat exchange restrictions. Users can also either look at existing prediction trends or a knowledge-holder’s prediction record to decide on how they will bet. When a user initiates participation in a prediction pool, they can use any cryptocurrency or token that they would like as collateral in the exchange. They, are then issued a number of outcome tokens. These tokens can then be traded with other platform users, meaning that they can try to accumulate tokens for the outcome that they feel will occur, in exchange for the token that they do not want. In order to resolve issues of data verification, the platform will occasionally make use of off-platform data sources. As the platform and technology develops, they hope to create a platform where humans, bots and artificial intelligence (AI) programs can all interact and exchange data with each other. When data sources are absent, Gnosis plans to operate its “Ultimate Oracle” which will allow users to place bets on the outcome of an event soon after it has taken place. Users can then place bets on whichever they feel would be most appropriate. After a certain amount of time, the Ultimate Oracle would review the outcome and settle the bets appropriately. Gnosis also plans on providing developers with the opportunity to earn GNO tokens in exchange for developing further dapps and protocols for their platform. By doing so, they hope to create more accurate forecasting AIs and mechanisms into the platform. The core layer will be responsible for issuing, monitoring and transacting smart contracts on the platform. The service layer will provide various tools, such as stable-coins, and dapps to users in exchange for fees. Some of these functions will also engage with the core layer. The application layer provides the dapp face of each predication group and is the protocol with which users generally engage. These can be built either by Gnosis or by third parties. Each prediction dapp will have its own fees and protocols associated with it but will still be connected to the Gnosis Platform and trading pool. In this way, all dapps will remain transparent and be autonomously monitored by Gnosis. All dapps are visible on the user’s Gnosis dashboard, meaning that all predictions and transactions can be carried out from there. The Gnosis whitepaper makes some impressive claims such as that they aim to ‘to help facilitate a long-term shift toward information arbitrage economies that will power the Internet of Things (IoT), as well as more advanced forms of artificial intelligence’ and that their platform will ‘empower everyone to participate in the aggregation and efficient evaluation of information, [thereby creating] new economic opportunities for subject matter experts and more efficient avenues for crowdsourcing’. However, there does not seem to be any mention of how this ‘arbitrage’ will occur outside of the areas of gambling and auctioning. It is also unclear on how they are spending the capital that they raised during the ICO, as they are paying developers GNO tokens as rewards for winning competitions. However, they have been expanding their team and speaking at various events to promote their product, as well as working on a couple of other projects detailed below, so it is possible that they are working on other concepts behind the scenes as well. The Gnosis multisig wallet. This has already been adopted by other platforms such as Golem and Civic. DutchX – a crypto exchange platform that is based on the Dutch-auction principle. By selling their crypto on this platform, users are able to gauge the true market value of their token. 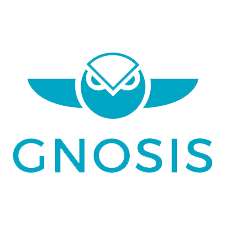 GNO tokens are used to generate OWL tokens through the creation of smart contracts on the Gnosis Platform. OWL tokens can then be used to pay fees on the platform, as well as to purchase outcome tokens for an event. Once spent, OWL tokens are burned. Although users can use other ERC20 tokens to purchase outcomes tokens, there are added benefits to using GNO tokens, such as that whenever a user uses OWL tokens, while still holding GNO tokens, those GNOs will generate new OWL tokens. February 23, 2018 – Gnosis Launches Gnosis X, a competition to encourage dapp developers to create tools for their Gnosis platform. Winners for various categories would receive $100,000 USD worth of GNO.